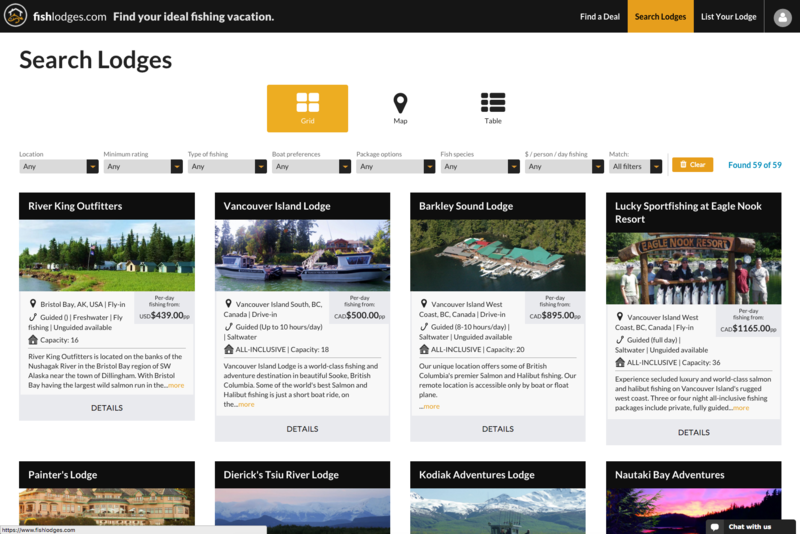 Victoria, BC, Canada - Sombrio Ventures Inc. has launched fishlodges.com which aims to simplify the process of finding a fishing lodge. The website consolidates information from individual lodge websites across the web and indexes it in a searchable database. 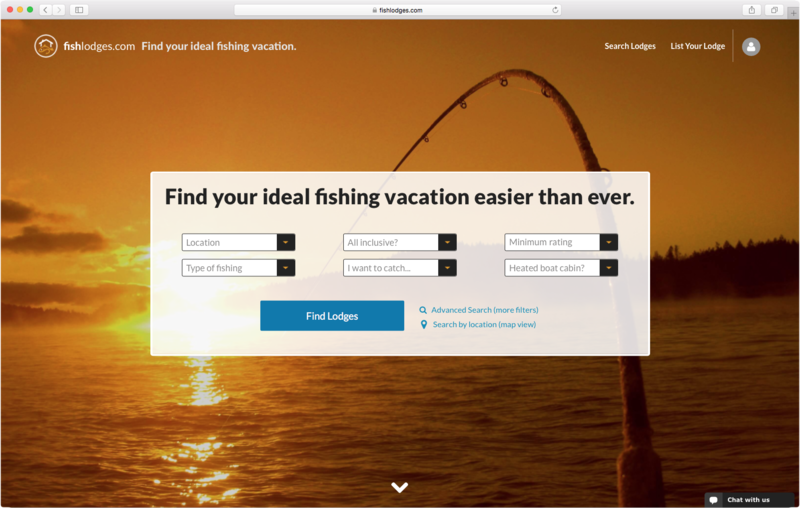 Rather than broadly searching Google, users can perform very detailed searches across all lodges to quickly identify the perfect fishing lodge vacation. Currently targeting the Pacific Northwest—British Columbia, Alaska, Yukon, Washington and Oregon—fishlodges.com currently features 59 lodges, adding more weekly. 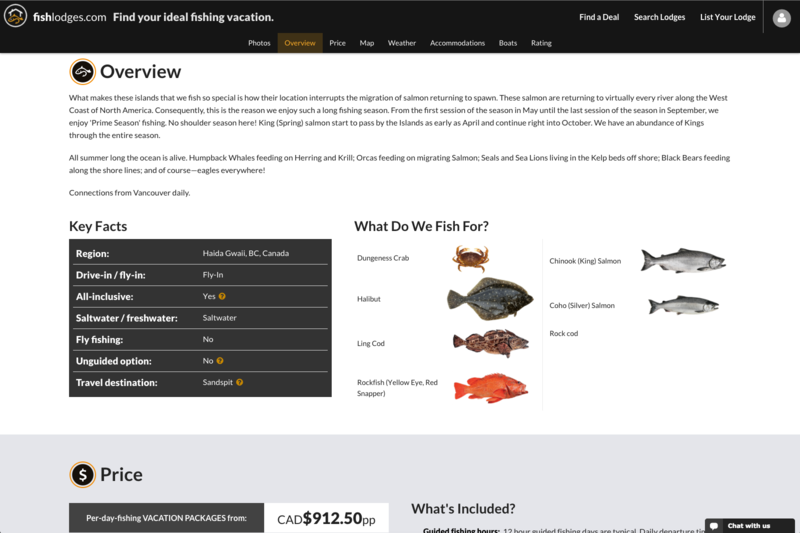 All lodge information, like type of boats, fish species available, package prices and more is presented in a clean, mobile-friendly interface. 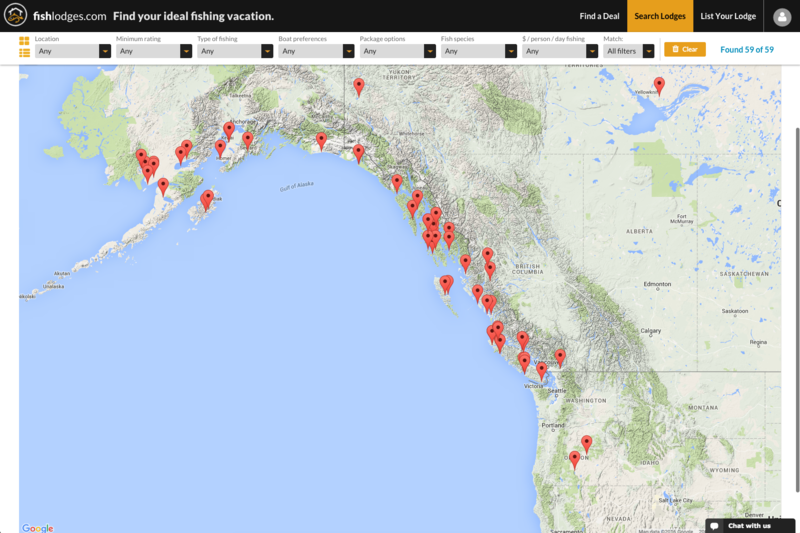 Users can browse lodges by location using an interactive map, or search all lodges by specific interest, such as lodges with heated boat cabins, fly fishing or steelhead trips. Lodges that are found can be compared “apples-to-apples” and even booked directly on fishlodges.com. All this functionality is offered nowhere else on the Internet currently.